Bee Downtown, a startup led by NC State alumna Leigh-Kathryn Bonner, is focused on increasing the honeybee population in cities across the U.S. Today the company announced the installation of a new apiary on NC State’s Centennial Campus. The newest apiary, named after lead sponsor, Bandwidth, will be installed Friday, April 21st at 11:30 am on Centennial Campus. Honeybees pollinate 80 percent of the world’s plants and are responsible for every third bite of food we eat. However, over the past 50 years, changing agricultural practices have crippled their population. In 2015, US beekeepers lost 44% percent of their hives. Bee Downtown is working directly with local businesses to rebuild the honeybee community and increase awareness around the changing food ecosystem. In addition to the naming sponsor, Bandwidth, other sponsors of the apiary on Centennial Campus will include: NC State Entrepreneurship Initiative, NC State Nonprofit Institute, AndyAlbright.com, Freudenberg IT and Soul Garden. Each business will participate in employee education training on bees, agriculture and food production. The businesses will also receive a portion of the honey their hives produce. Follow @BeeDowntown on Facebook Twitter and Instagram. Centennial Campus is one of the leading university research campuses in North America and beyond. This award-winning campus is a national and global model for fostering research and development partnerships with industry leaders. This mixed-use development boasts residential development, two public schools, a championship golf course, world-renowned Hunt Library and a new conference center/hotel opening in October, 2017. Note: The installation starts at 11:30 near the intersection of Main Campus Drive and Campus Shore Drive and will take approximately 2 hours. BeeDowtown will bring the hives, in their painted boxes out and hive stands out and carry them to their spot! 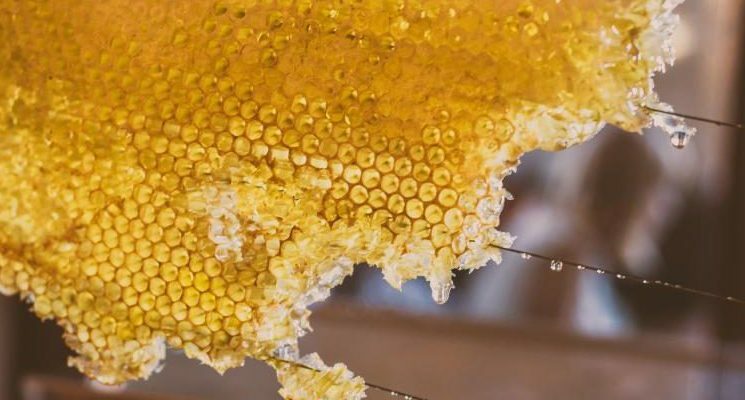 They will talk about the bees, their hives, the companies sponsoring them, and maybe open up one of the hives for people to get to taste some honey. They will light smokers and teach about bee communication and dance languages as well! People coming to the install are asked to wear long pants and close toed shoes.